Some call it “LA” but they aren’t referring to that city in Southern California. They are talking about the southern end of the great state of Alabama, the part near the Gulf of Mexico…Lower Alabama. LA’s center is the city of Mobile and Mobile Bay where the Tensaw River meets the Gulf of Mexico. LA circles the Bay on the east side from Gulf Shores and Orange Beach near the Florida border around to Grand Bay on the west. The Battle House in downtown Mobile is a wonderful place to make your base for a trip to LA. This Four Star lodging was built in 1852 and after a 120-year history or hospitality closed in the 1974. 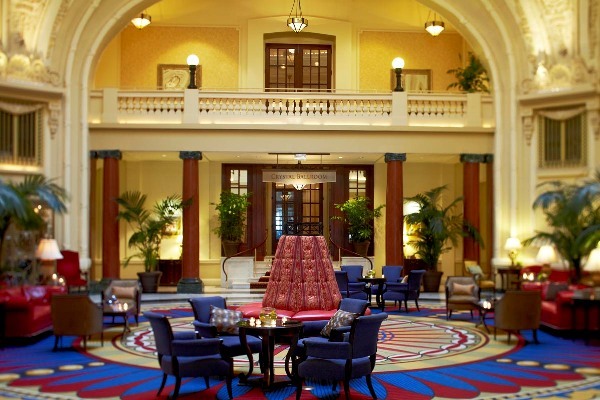 When completely refurbished and reopened in six years ago, this 240 room jewel starting receiving kudos from industry associations and media but more importantly from guests. 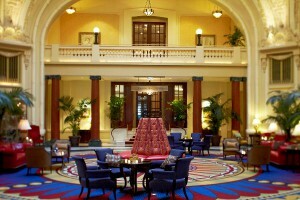 The amenities are the ones expected in a hostelry of this type and all are of first class quality. You may not know, Mardi Gras celebration began in Mobile, not that other city to the west, and each year the many festivities are centered on part of the city around the Battle House. And with more than two dozen courses chances are visitors will find just what they are looking for. 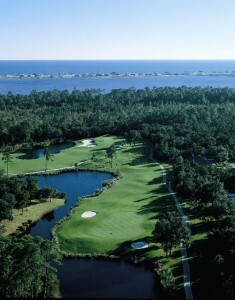 Any sampling of what to expect would have to include Kiva Dunes Golf Club in Gulf Shores. With the Gulf of Mexico on one side and Mobile Bay on the other it would be hard to find a better location for a course and this Jerry Pate design certainly takes advantage of it. The greens at Kiva Dunes are immense and so are the fairway landing areas because Pate took into account the wind which, on this peninsula, is a constant factor. His bunkering plan left the fronts of most greens open giving multiple options for less skilled players but also for better players that get into trouble. 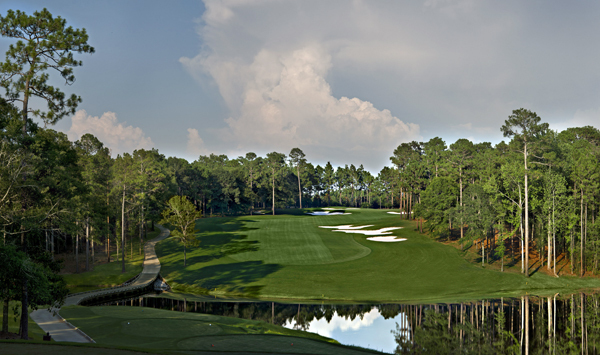 Make no mistake this is a very good, challenging course with the back tees a man-sized 7,092-yards. The good news is the most forward tee set is a friendly 5, 006-yards meaning that Kiva Dunes provides something for everybody. 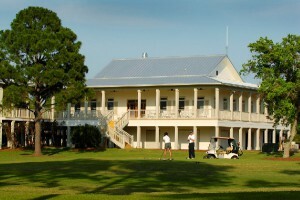 Just up the road is another fine test for your game, designer Earl Stone’s Peninsula Golf Club course. The three nine-hole layouts are situated next to the Bon Secour Wildlife Preserve so there are many interesting glimpses of birds and four-legged residents among the oaks and cypress. When asked what golfers like the most about Peninsula, Head Professional Mike Weiler said, “They like a lot of things. Each nine has its own character but I know almost everybody talks about our course conditioning and the greens especially.” The greens and greens complexes offer scoring opportunities. A good example is the par-4 ninth on the Lakes course. The tee shot must find the left side of the fairly generous fairway that has sand and water on the margins. From there the shot to the large three-tiered green will probably be a middle iron with the approach flanked by bunkers. A miss left feeds into a chipping area while a miss to the right may stop in the back right bunker leaving a long sand shot if the pin is on the front level which, by the way, slopes away. Sounds a bit intimidating of course but the reality is, this hole and the others at Peninsula are exciting and well laid out and offer a great golf experience. Nearby is the first course in Gulf Shores, Gulf Shores Golf Club which was designed in the 1960’s by the father-son combination of Jay and Carter Morrish. In 2005 they returned for a complete renovation with a partial redesign to lengthen the layout and rework the bunkering. Water hazards are a serious consideration on about half of the holes but not overly demanding for most golfers. Gulf Shores has the feel of an old-time golf course and frankly it’s fun to play. Typical is the par-5 7th hole, the number one handicap hole, where there’s a real premium for the placement of the tee shot rather than on raw length. The second shot also needs to be correctly situated to set up the easiest approach to the green. Accomplish this and a reasonable third leaves a good chance for a birdie or par for sure. 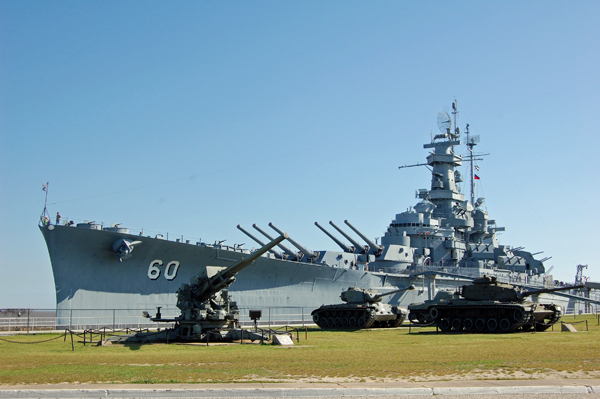 A really interesting side trip is to visit to the USS Alabama battleship moored in Mobile Bay. Tours are given of both the Alabama and the submarine USS Drum plus there are several tanks and military aircraft in the surrounding Memorial Park. Continuing up Mobile Bay the Lakewood Course at The Grand Hotel Point Clear Resort opened in 1947 and the 36-holes have recently undergone major renovations. Their Dogwood course will be to the liking of recreational players since it’s a little shorter and water hazards are not as big a factor. The Azalea 18 is longer and presents more of a challenge but with five sets of tees, can be fun for just about any skill level golfer. A few miles away in Fairhope is Rock Creek Golf Club another Earl Stone layout that gets rave reviews. General Manager Chad Leonard says players will remember holes such as the par-4 18th, an uphill with a giant bunker confronting you on your tee shot. The green is very deep and though open in front, the approach is guarded left and right by bunkers. Leonard points out that the green’s size can mean a difference of three clubs or more depending on the pin location. The Robert Trent Jones Golf Trail has been called by the New York Times, “World class golf that’s not a world away,” and a major source of economic growth for Alabama. The 11 facilities have 26 courses on the Trail and comprise 468 holes. The Trail is the brain child of Austin, Minnesota native, Dr. David Bronner, who heads the Retirement Systems of Alabama (RSA) public employee pension fund. His concept back in 1992 was to have RSA investments in golf and help Alabama’s economy. This effort has been spectacularly successful being a major reason state tourism has grown six fold in the 20 years of the Trail. LA has two RTJ Trail facilities. 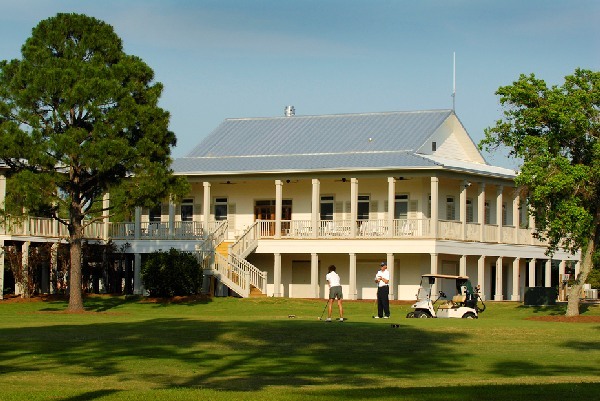 The Lakewood Golf Club part of the Grand Hotel, Marriott Resort in Point Clear, a Four Diamond 165-year old gem that has been called the “Queen of Southern Resorts” and the Robert Trent Jones Golf Course at Magnolia Grove in Mobile. Shown is the 18th at the Crossings Course at Magnolia Grove. Moving to the west of the Bay there is Magnolia Grove with three courses, all of which have recently been renovated. There’s the Short Course Golf Digest named the best par-3 course in America and the Falls course which boasts large greens with impressive (to look at) cloverleaf bunkers. Each spring the LPGA Tour visits the Crossings course, a nice open layout with fairways framed with trees and slopes. Hazards, both water and sand, place a premium on accuracy for tee shots and those critical approaches to the greens. So no matter which courses you play there’s no question, LA is certainly Sweet Golf Alabama with something for everyone to both build memories and the desire to return.